The Chess Player's Magazine of 1 Aug. 1867 (p.254) gives +7-3 for Zerega, as does the 22 June 1867 issue of Turf, Field and Farm and the New York Tribune of 17 Jun. 1867 (p.5). In Mackenzie, Mason and Co., van Winsen gives +7-5 for Zerega, apparently having misread the score in the New York Tribune. 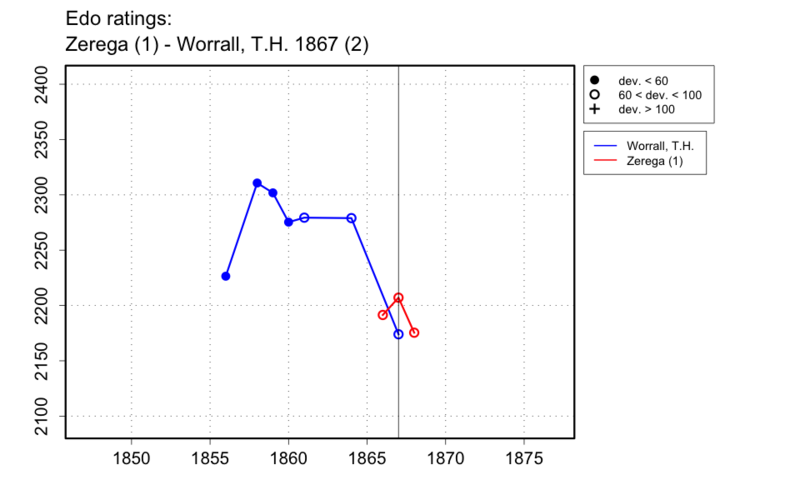 The 18 May 1867 issue of Turf, Field and Farm gives a partial score of +3-0=0 for Zerega to that date, so it started earlier than this.